There is an incredible amount of false information on the internet. From fifth-graders researching book reports to curious adults have all come across a source of misinformation. With the larger amount of contributors to the field of history, the internet provides a forum for conspiracy theories and new takes on historical events. For my digital project, I want to explore the reinterpretation of history on the internet through a blog. For this project I will use WordPress and create a blog themed around historical discussions on the internet, primarily those that are far-fetched and far from general consensus of truth. Over the course of the month, I would like to create 5-10 posts on different internet finds. One of the topics I would like to explore is the “If historical events had facebook” trend. These very clever creations are a humorous and creative look at the events such as the signing of the Declaration of Independence and World War II. Beyond discussing the actual factual accuracy, I would also do an analysis of what these pieces communicate or clarify to a wider audience. How would a high school student view this differently than a historian? I also would like to look at different conspiracy theories and the information and websites surrounding them on the World Wide Web. Being from Massachusetts, the assassination of President John F. Kennedy has been the topic of every history class I have had since elementary school. Web sites, entirely devoted to what may have happened have broadened channels of information beyond those of the average history textbook. One of the more entertaining Nicholas Cage films, National Treasure has also sparked the interest of the internet. Even the National Archives website answers the question “What is on the Back of the Declaration of Independence?” I want to explore how digital communications is used also to refute misinformation by historical sources. While my interest resides primarily in United States history, I also want to explore other mass conspiracies that exist in popular culture. The Da Vinci Code and Opus Dei tells an entertaining story of a present day manifestation of an ancient conspiracy. I will explore the direction and topics of conversation prompted by a widely popularized conspiracy theory. While biblical history has an additional facet of “what is true,” I want to research the historical accuracy as displayed in digital sources. In writing this blog, I will too join the world of web discussion on historical misinformation. I want to prompt a conversation with my comments. I think this blog will be a fun balance of humor and fact, paralleling historical truth with the entertaining narrative of the internet. Contrary to popular belief YouTube has had a much larger effect on society than being just a platform for people to post videos of keyboard’ing cats or reviews of Yankee Candles. YouTube has become an integral part of our everyday lives. What YouTube has done that is so remarkable actually involves little advancement in the actual process of recording/editing video. The way YouTube has changed life as we know it is providing the ability to share videos in a radical new way. All of a sudden videos that barely anyone would be able to see now has the potential to easily reach hundreds and possibly thousands in a short amount of time. Videos from the past have become easily accessible & thousands of videos have been uploaded since you began reading this post. But it doesn’t stop there. The ability to embed videos in any website and record/watch them on mobile devices has expanded the capacity for sharing beyond a point that is very hard to conceptualize. What has been achieved is very easy to look over and most likely because of the speed at which this all happened. 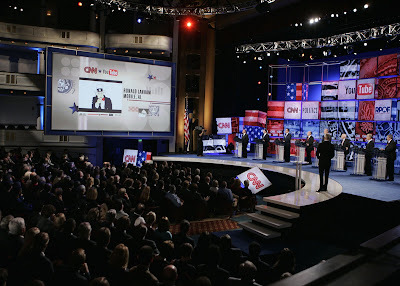 From it’s first video in April 2005 (Me at the zoo) to user-submitted questions being integrated into the GOP debates- YouTube has solidified itself in life as we know it. One of the most affected parts of our our culture that YouTube has changed forever is obviously music. With my digital project I propose to curate a web exhibit that focuses on the different aspect of the music industry that has been changed forever because of YouTube. My project would likely take form of a blog like WordPress.com to host a series of posts focused on specific topics that include video examples & commentary (both my own & outside) to help put the affects in a more historical context. How people discover music – embeding, blogs, etc. I’ve accumulated a healthy amount of articles to reference that hit on my subtopics from established publications like Wired to personal blogs. I live in the community of Silver Spring, Maryland. It is a community that has a unique history, from its founding as an estate of the Blair family in the 1820s, growing as part of the explosion of suburban development in the early to mid twentieth century, to more recently experiencing the demographic and economic changes that are becoming more common in an increasingly diversifying United States. While Silver Spring has a local historical society (Silver Spring Historical Society), it has yet to present much of its collection in a digital format. 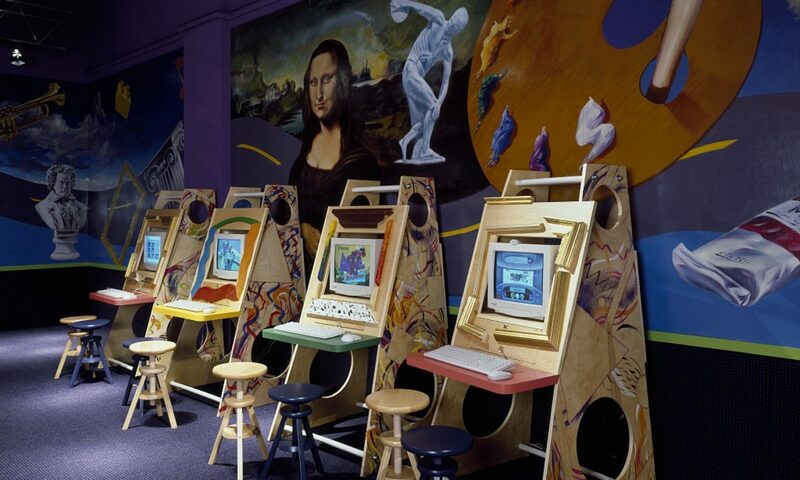 For my digital project, I would like to create a platform for presenting some of Silver Spring’s history online. I am interested in presenting the history of Silver Spring in a geographic format such as a virtual tour of Silver Spring. I would strive to make my project as interactive as possible; I like the approach of allowing the public to manipulate the digital content. I am interested in potentially using two tools. I think Viewshare would be suitable to creating a collection of what will likely be mostly photographs and placing them on a map. I like how Viewshare has the capability of integrating a variety of historical materials into a collection. I am also interested in using the site Historypin. I like how this website uses the Google Street Views to overlay historical photographs with what is currently there. Also, Historypin has a mobile app component which I believe would help increase the visibility and dissemination of the project. While creating a virtual tour of a community has been done before, I think the history of Silver Spring could offer unique opportunities. I envision including this project in my U.S. History high school class I teach when we study suburbanization as a way of making our local history relevant. I hope my project could be publicized through the historical society if up to standard. Hopefully if the public is aware, more people could contribute any historical materials they may possess to the site or collection so it could continue to grow. I would like the audience for the project to be as broad as possible, from local historians in the Washington D.C. area to potentially tourists who visit our region. I would evaluate the project from the feedback I receive from users and the level of interest it produces. Ultimately, I feel getting historical material online is always positive, and I hope that presenting the local history of Silver Spring, Maryland digitally will have broad appeal. In the Fall of 2008 I studied abroad in Ireland for four months. Living in a new city full of history, I wanted to see everything historical I could find. However, as you could probably guess I was a broke college kid and I had a tough time finding free things to see and do. I wish I had a better understanding of what I could have seen that was historical, fun and better yet FREE! Living in Washington DC now, I feel somewhat the same as I did in Ireland. There is so much history around me and I want someone to guide me to the places where I can learn DC history on a limited budget. For my digital history project, I plan to help those like people like myself who want to explore DC and see what historical sites and monuments the city has to offer. Thus, I will write a blog, via WordPress, with the best places to go and things to see relating to history in DC. Since this is a history minded site, each blog post about each site will have background historical information on each of the free sites that will be profiled. I want people to explore their city while wanting to learn the history behind it. How will I decide which sites or monuments will be profiled on the blog? That’s easy, I plan on visiting each site myself to give people a poor college student’s historical perspective. I want people to get a better understand of what they will see and learn if they choose to heed the advice of a fellow penny pincher like myself. In addition to the blog posts about each free historic site or monument, I will also be taking pictures. This will allow for the visual people out there to get a better sense of what they will see if they want to see it. Therefore, I will create a Flickr profile where I can display all of the photos that I will take. I will include a link in the blog posts to Flickr where people can get an idea of what they will see. I do plan on having a couple teaser photos on the blog page itself though. What is great about using WordPress and Flickr to help people to decide what to do in a new city and to teach them some history that they might have never known is that it creates a forum for historical discussion. Whether commenting on a blog post or on a photo, crating a dialogue about history is one of the goals of this project. In the digital age in which we live today it is much easier to get history across to many people via the internet, and that is what I am doing here. I hope to inspire people to get out, see their city, and most importantly learn and talk about history!